Busy Bees in Daybrook - Builders Yard. 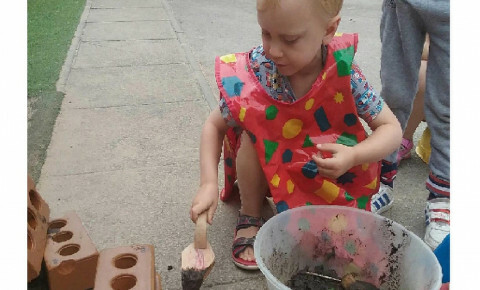 The children in pre-school have been creating their very own structures using pretend cement and bricks. The children spoke about the role of the builder and how we create cement. 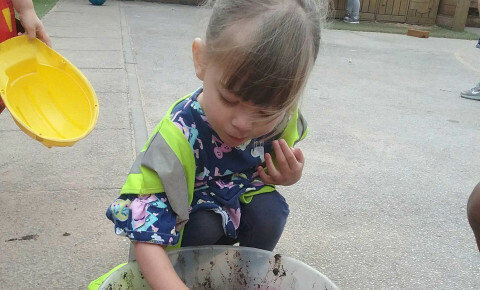 The children used their fine motor skills to grasp tools and use them to mix the cement and use the tools to create simple structures. Take a look at what other activities we provide for your children. We also spoke about the children's houses at home and how they are different in sizes; shapes and colors. The children are learning to develop their language, using a wide variety of sentences and beginning to use simple questions in play. The staff use a wide variety of open ended questions to support your child's learning. This will then encourage the children to think about their response and use their understanding of sentences and use them correctly in play. 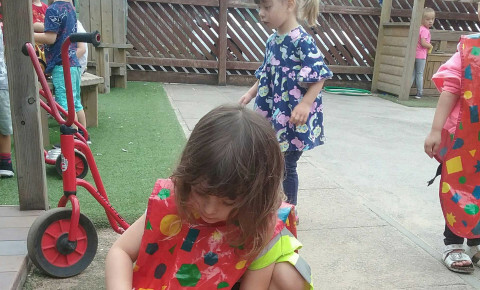 At Busy Bees we provide a variety of enhancements to support your child's learning in every area. The curriculum that we use the Early Years Foundation Stage. This curriculum is provided by the government and supports staff with supporting each individual child's development. 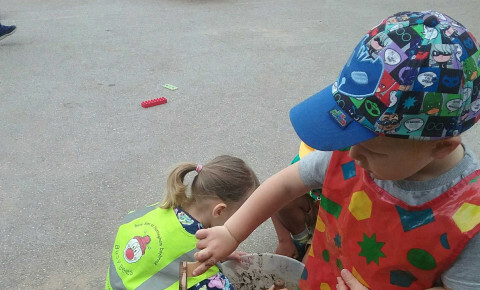 If you would like to take a look at our staff and children in action, why not book a visit online to come and see what we have to offer for you and your child. You can also come and join in with the fun activities we have out each day.